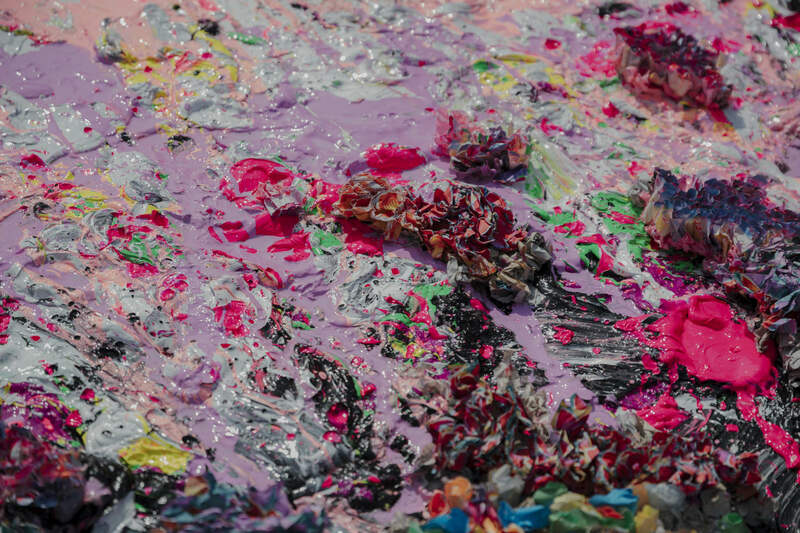 This April, Chinese contemporary artist Zhuang Hong Yi will present 'EARTH,' a solo exhibition of new works at Unit London. 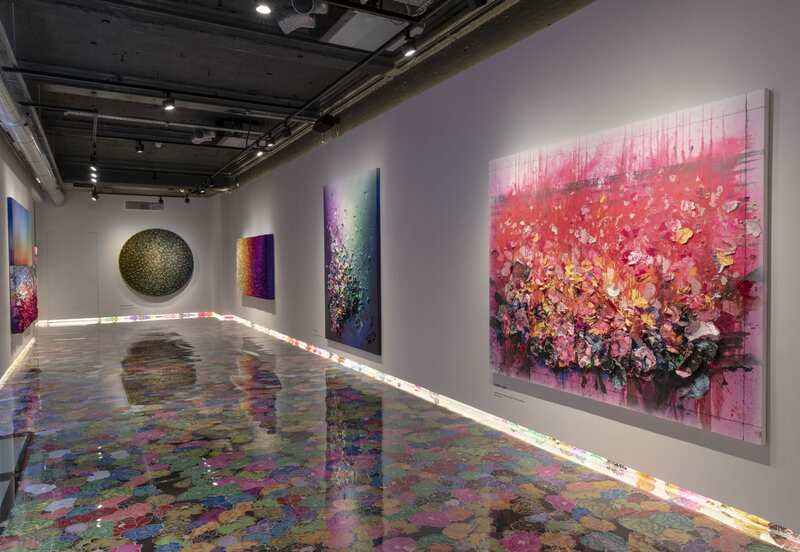 Characterised by his daringly-bold palette, Zhuang’s meticulously crafted floral artworks reflect the artist’s Chinese heritage and integrate a Western allure. 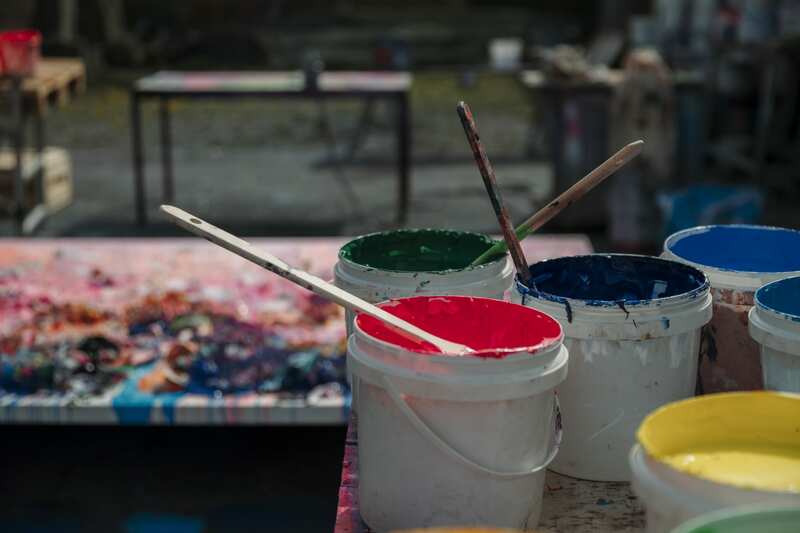 Zhuang's style is refreshingly unconfined and expressive. 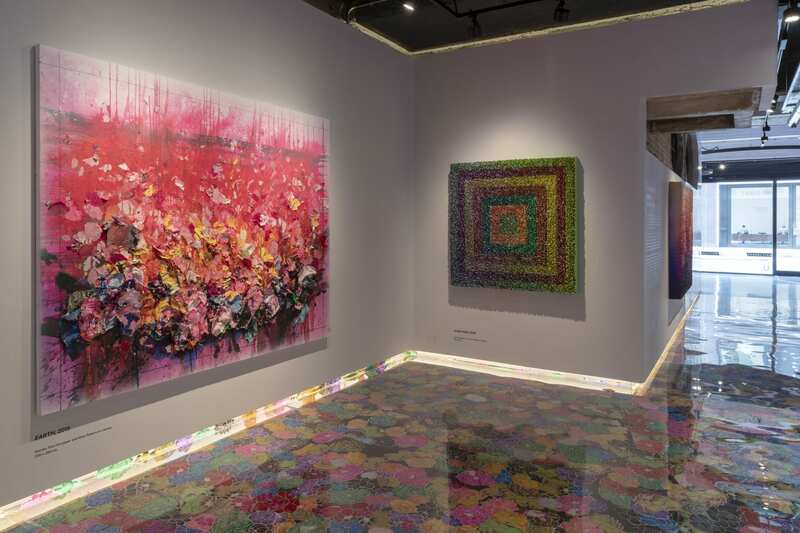 His signature flowerbeds, composed of painstakingly folded rice paper flowers and a mixture of pigment, oil and acrylic paints, appear to bloom from the walls. 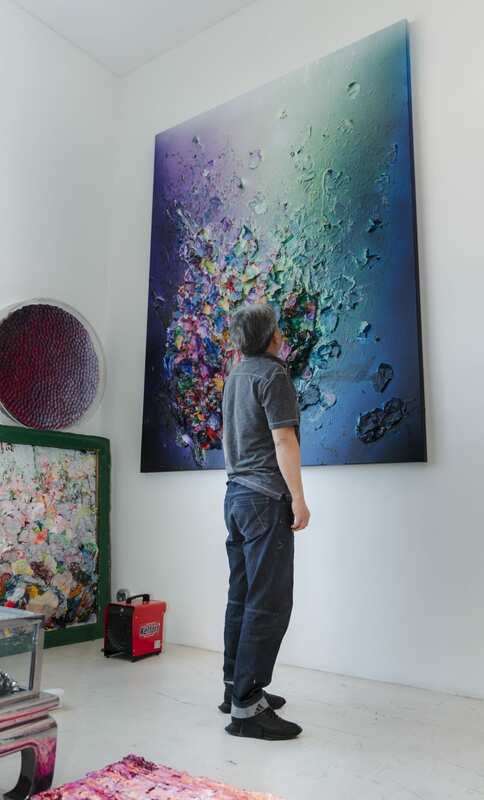 The sculptural three-dimensionality of his densely-planted canvases read as both objects and paintings. In his landscapes, Zhuang's adopts a more traditional painterly approach, depicting vibrant vistas through a brilliant combination of gestural impasto and folded rice paper. 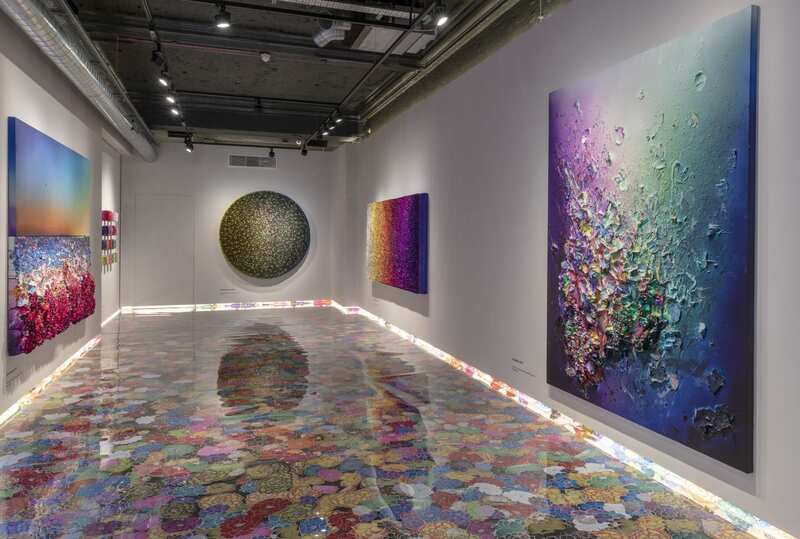 Memory and energy are critical themes in Zhuang's artwork, as are his observations of nature, he notes, "over the last three years I look to the sunsets and I go to different countries to see the real landscapes, the light and the movement." 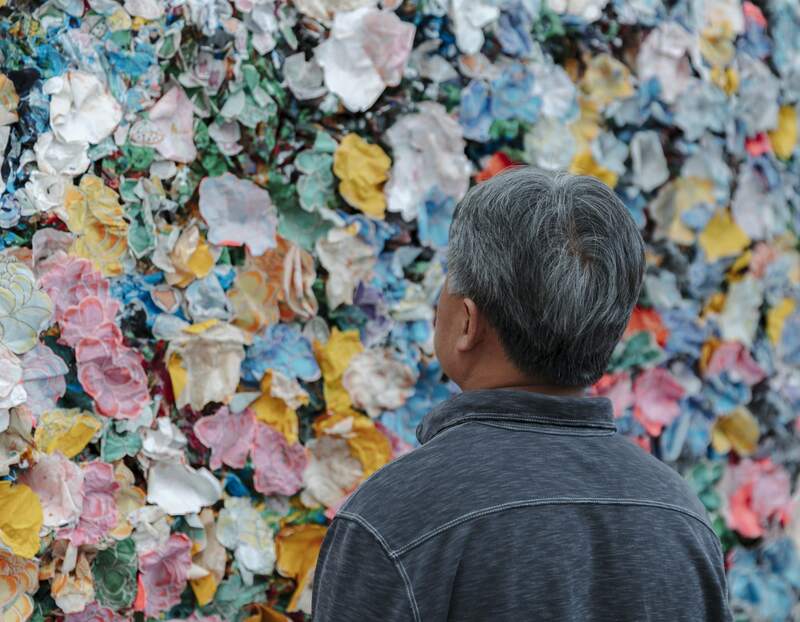 Zhuang's artworks connect and communicate his cross-cultural experiences and environments. 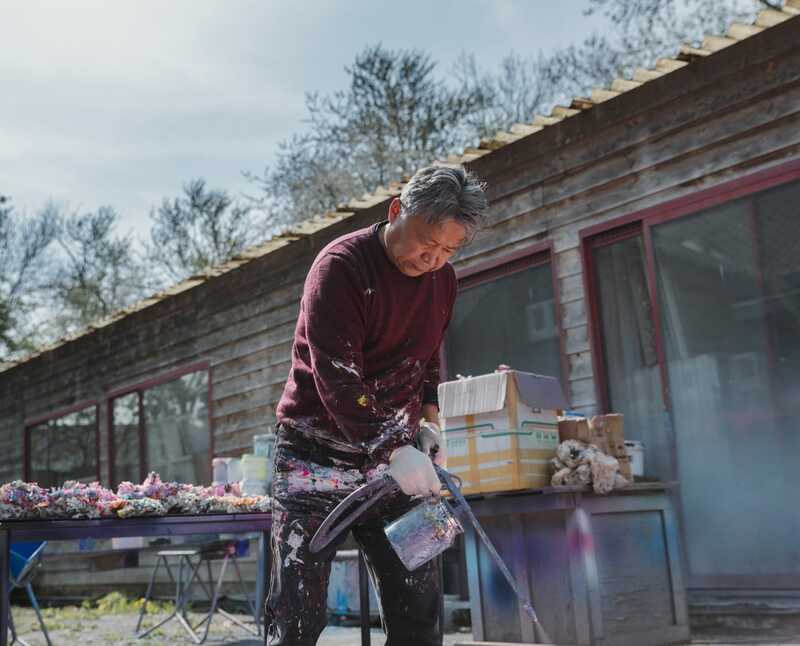 Born in Sichuan Province, China, Zhuang moved to the Netherlands in the 1990s and now works and lives between Rotterdam and Beijing. 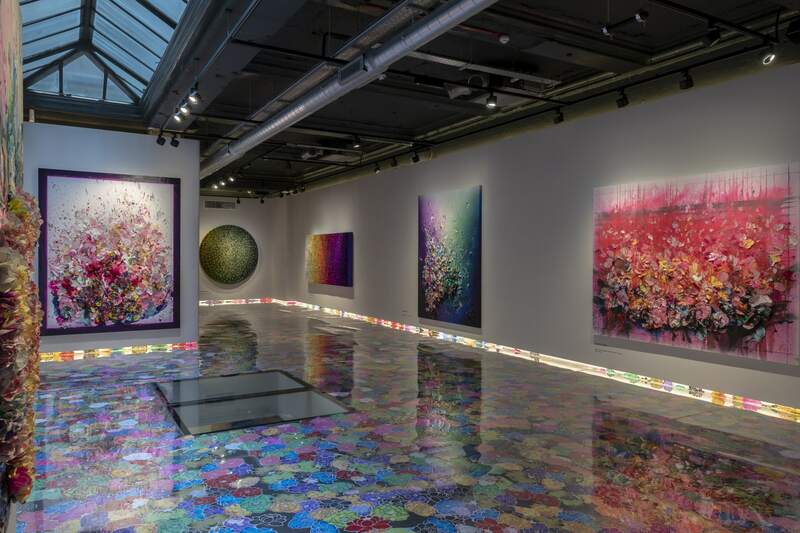 The blooming floral motifs recurrent in his work, whether lotus, chrysanthemum or tulip-inspired, carry associations of metaphysical purity, strength and good chi according to Chinese culture and national associations of growth and prosperity from the Netherlands. 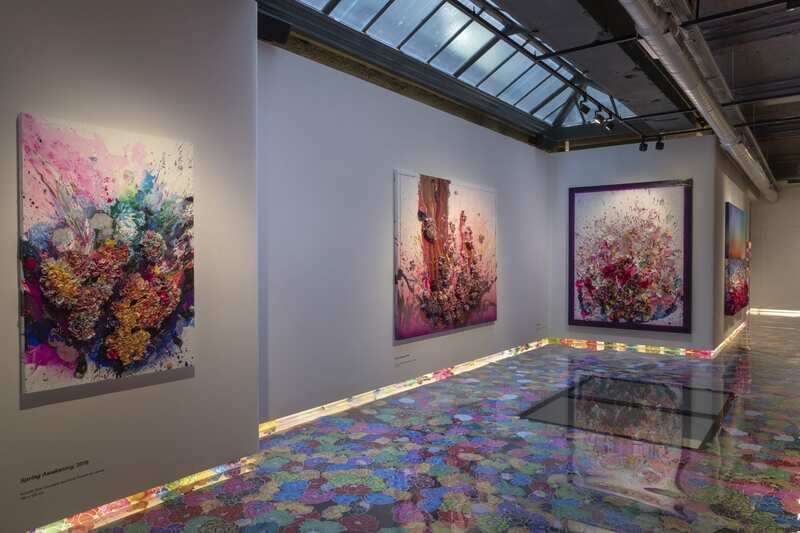 Zhuang's commitment to floral motifs also reflects his love of nature and his environmental concerns, such as the rampant urbanisation in China, the ferocious plundering of natural resources and depopulation of rural Chinese communities. Zhuang religiously works on this subject year after year, however, the result is not repetitive, but demonstrates his continuous refinement and experimentation between raw emotional expressions and precisely planned artistry - Zhuang describes, "I give the energy to the painting, and the painting reacts by giving me new energy and inspiration." His varying colours, dimensions and subjects are united in their undulating beauty, sophistication and craftsmanship. Zhuang has achieved international acclaim. 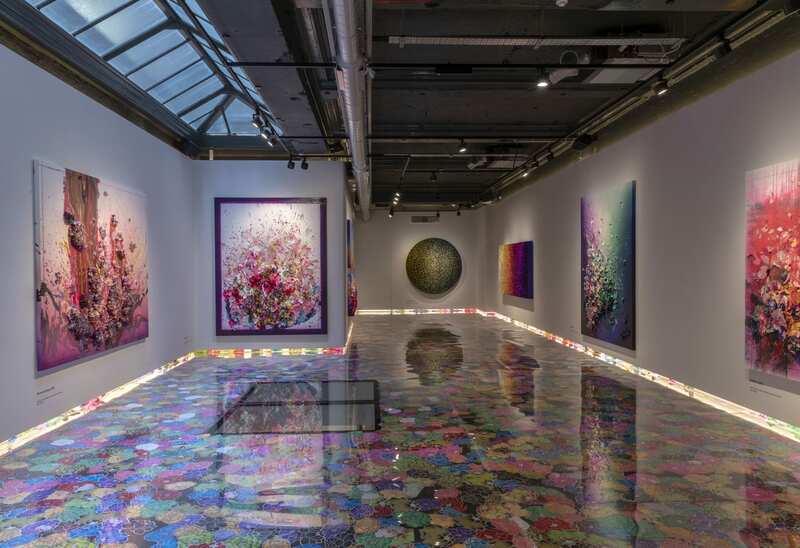 His sculptural paintings have featured in over thirty solo exhibitions and group shows worldwide including the Found Museum in Beijing, China, the Groninger Museum in the Netherlands and in Italy at the 55th Venice Biennale in 2013. 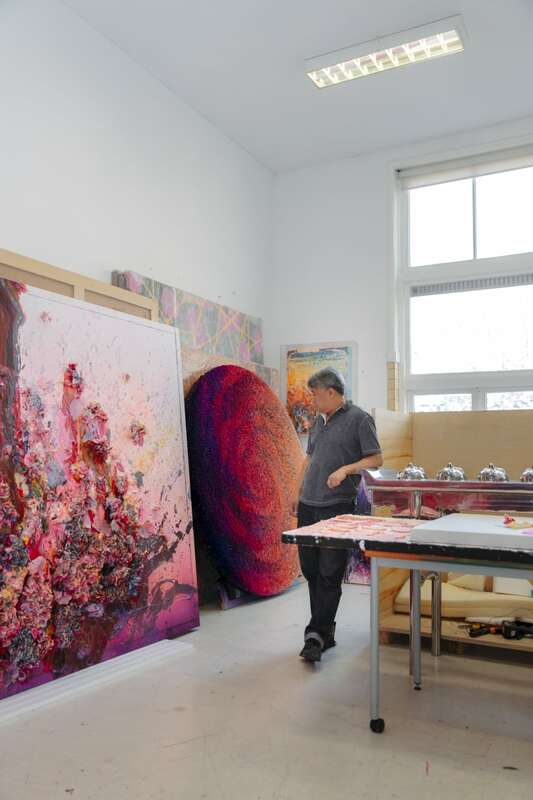 Zhuang studied at the Sichuan College of Fine Arts in China and continued his education in Europe at the Minerva Academy in the Netherlands. Acrylic, fine rice paper and lotus flowers on canvas. Acrylic, pigment and fine rice paper on canvas. Acrylic and fine rice paper on canvas. Acrylic, fine rice paper and pigment on canvas.